After the launch of the facelifted Golf range earlier this month, it was time to get a good look at the electric model, which has more range, more power, and more equipment than the outgoing model. Volkswagen revealed the new version of its electric e-Golf at the LA Auto Show. The range of the new e-Golf has increased by around 50% up to 186miles – partially thanks to larger batteries – and it now develops 134bhp, which is up around 20bhp. It can accelerate from 0-62mph in a claimed 9.6seconds, and has a top speed of 93mph (up from 87mph). Despite being more powerful, VW says power consumption hasn’t been affected. Like the rest of the range, it’s had a few tweaks to its design. There’s new bumpers at the front and rear, new halogen headlights with LED daytime lights and animated indicators, new front wings, and new full LED rear lights. On the inside, too, there’s a digital instrument cluster, with everything displayed on a 12.3-inch colour display, larger touchscreens, and gesture control – so drivers can change music, or radio stations etc., with a swipe of the hand. VW’s online ‘e-remote’ services will come as standard, so drivers can stop or start electric charging remotely, as well as setting air-con, from an app on a smartphone. There’s plenty of safety kit, including the new traffic jam assist – which allows the car to partially drive itself – pedestrian monitoring for front assist with city emergency braking, trailer assist (the first in the small car class), and emergency assist. The facelifted range will go on sale in 2017, and is likely to be priced similarly to the current range. 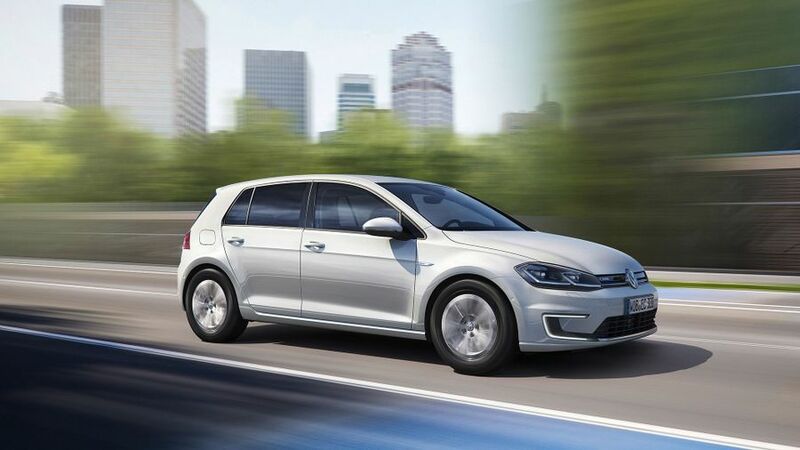 The new e-Golf is likely to cost from around £32,000.